A police check post near Hanagal village on the Bengaluru-Ballari National Highway is located not on the main road, but on a side road leading to a nondescript village called Myagalahatti. Gun-toting men stop vehicles that take the road, search them thoroughly, enter vehicle numbers in a register, study the faces of the passengers and question them about their destination. “Are you going to the Reddy house?” they ask. Close to the check post is a sprawling farmhouse nestled in greenery, in stark contrast with the parched terrain of Chitradurga district. The compound wall is dotted with BJP flags, huge cutouts of BJP leaders Amit Shah and B.S. Yeddyurappa and Ballari MP B. Sriramulu. Former tourism minister and mining baron Gali Janardhana Reddy, one of the three Reddy brothers of Ballari, now stays in this farmhouse in Chitradurga, bordering Ballari. In the heart of Chitradurga, BJP’s star campaigner Prime Minister Narendra Modi is whipping up a storm, attacking the Congress and Chief Minister Siddaramaiah. He asks the people of Karnataka to save the state from becoming the “ATM of the Congress”. But even Modi finds it difficult to defend the Reddy brothers and their association with the BJP. Janardhana Reddy, an accused in the multi-crore illegal mining scam involving his Obulapuram Mining Company (OMC), is barred by the Supreme Court from entering Ballari, his home district. After the BJP fielded his close friend and powerful Valmiki leader Sriramulu from Molakalmuru assembly constituency in a bid to consolidate the decisive scheduled tribe votes in the region, Reddy moved to the farmhouse from Bengaluru. Sriramulu, who merged his BSR Congress with the BJP just before the 2014 Parliament elections, is also contesting from Badami in Bagalkot district, taking on Chief Minister Siddaramaiah. As Sriramulu spends most of his time campaigning in Badami, Reddy is overseeing his campaign in Molakalmuru. And, it has made the BJP uncomfortable. After Modi accused the Congress of nepotism and mocked the “2+1 formula” of giving two tickets to Siddaramaiah and one to his son, the chief minister asked Modi to explain the “Yeddy+Reddy” combination. Rahul Gandhi also targeted the BJP’s links with the Reddy brothers. He said the Congress sent Reddy to jail, but Modi wanted the brothers in the assembly. Yeddyurappa had spent 25 days in jail over allegations of denotifying government land for monetary gains during the BJP rule. And, Reddy was in jail for 42 months on corruption charges. He is now out on conditional bail. While Shah has repeatedly said the BJP had no connection with Reddy, Yeddyurappa has had no problem sharing the dais with the tainted baron. After being asked by Shah to maintain a low profile, Reddy is now focusing on door-to-door campaigns in Molakalmuru. A pandal and a temporary dais have been set up in an open space next to the farmhouse. “MLAs and candidates from Ballari, Koppal and Chitradurga hold public meetings here,” says a BJP worker. In the past, Reddy used to be everywhere, zooming past the streets of Ballari in a fleet of expensive cars, or flying in and out on a chopper. Now, he uses a single white Range Rover. The last time he visited Ballari was in November for a wedding, after his bail conditions were relaxed on account of the ceremony. At the farmhouse, people wait for Reddy from early morning. There is a 24/7 kitchen which serves rice. It is a hot summer day, and mineral water cans on the verandah are getting empty quickly. 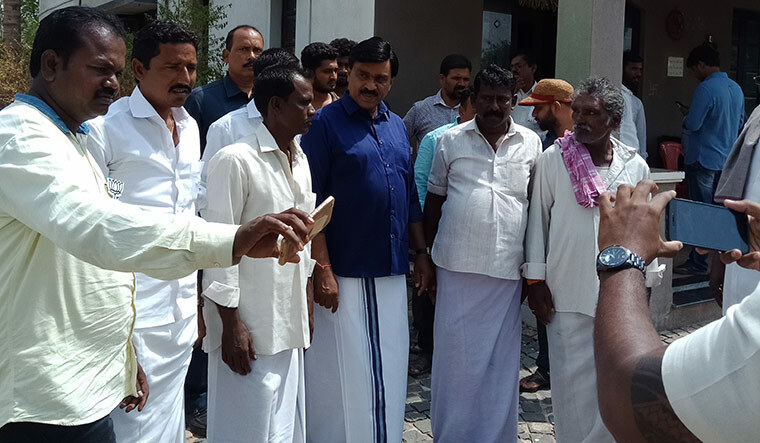 A group of men from the nearby Bedarahalli village had come to tell Reddy that they have no ration cards. 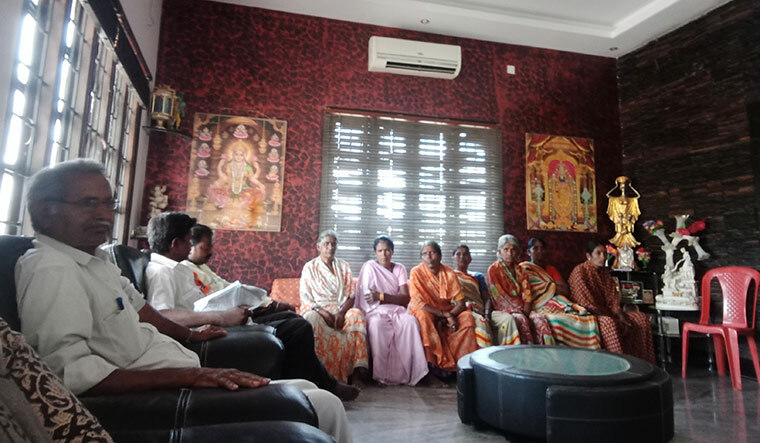 A group of women want his help to expedite the Rangarayandurga dam project. “We are suffering because the region is parched. People are forced to migrate to cities,” says Jayamma, a 60-year-old widow, who recently lost her only son. “We hope the Upper Bhadra river project is completed so that our dam gets filled. Irrigation will give us work locally,” she says. Reddy, who is upset with the media for painting him a “villain”, is not keen on talking to reporters. But, after a wait of four hours, THE WEEK finally gets to speak to him. “I am only helping my childhood friend Sriramulu win the Molakalmuru seat,” he says. Molakalmuru is gearing up for a triangular contest with Sriramulu’s old aide and sitting MLA P. Thippeswamy contesting as a rebel candidate. Thippeswamy, who belongs to the numerically strong Myasa Nayaka community, calls Sriramulu, who is from the Ooru Nayaka community, an “outsider” and a “betrayer”. But Reddy says Sriramulu will win. “Thippeswamy won last time by showing Sriramulu’s photograph and the fan symbol [of the BSR Congress]. Sriramulu will win with a huge margin. I am confident that the BJP will win Molkalmuru and all seats in Ballari,” he says. Reddy did not respond to questions about him being sidelined. “I am a party worker. I have never asked for any position or a ticket to contest elections,” he says. The farmhouse where Reddy stays is owned by a wealthy farmer N.P. Venkatesh and his wife, P. Sharada, a government doctor. “I have rented out my farmhouse to many VVIPS earlier, too,” says Venkatesh. “I have moved into a nearby room. I have taken just Rs 101 as token rent from Reddy, which I will donate to a temple.” Venkatesh says people come to meet Reddy not because he is a politician, but for what he has done for them. The BJP has given tickets to five people associated with Reddy. Four Congress candidates have also been named in mining scams; two are former associates of the Reddy brothers. The five BJP candidates are Reddy’s two brothers, Somashekhara (Ballari City) and Karunakara (Harapanahalli), his wife’s nephew Lallesh (BTM Layout), Sriramulu and Sriramulu’s nephew T.H. Suresh Babu (Kampli). The Congress’s four are Reddy’s former associates Anand Singh (Vijayanagar) and B. Nagendra (Kudligi), and Shivaram Hebbar (Yellapur) and Satish Sail (Karwar), who were jailed for illegal export of iron ore from Belekeri port. They are out on bail now. The Congress has also given tickets to “tainted” mining barons Anil and Santosh Lad. There are no illegal mining cases against Sriramulu, Karunakara and Lallesh. Somashekhara is facing the charge of bribing a special court judge to secure bail for Reddy. Suresh Babu is facing charges of illegal export of iron ore from Belekeri port. 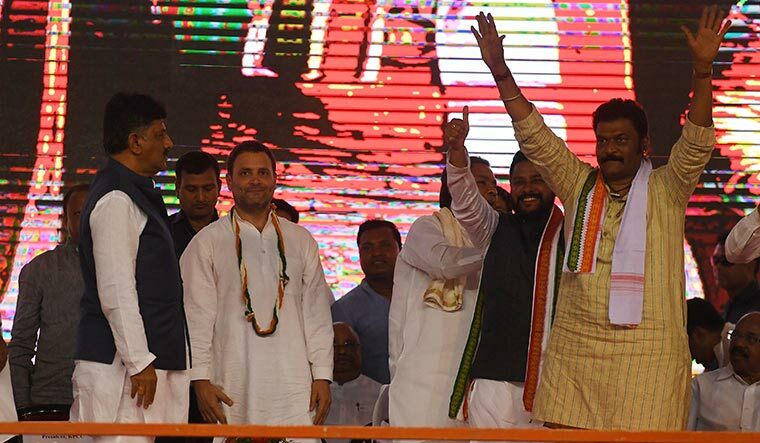 Siddaramaiah inducted Anand Singh and Nagendra into the Congress at a mega rally held in Ballari, in the presence of Rahul Gandhi. The party, however, said the accused would have to fight their own legal battles. Karnataka Congress president G. Parameshwara said inducting Anand Singh was inevitable as the Congress had not won the Vijayanagar seat in the last 25 years. Sons of a police constable, the Reddy brothers took to mining in 2001, by purchasing OMC. The soaring Chinese demand for iron ore pushed them into the elite league of Ballari’s billionaires. While the brothers earned goodwill through their charity work, their meteoric rise in politics began after they backed BJP’s Sushma Swaraj in her contest against Sonia Gandhi in the 1999 Lok Sabha polls from Ballari. 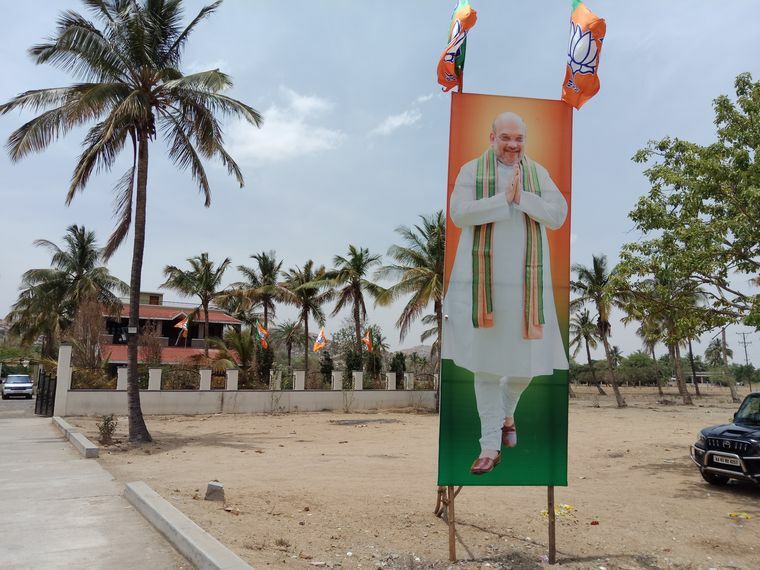 The brothers, who once had a brief stint with the Congress, managed to strengthen the BJP in Ballari, a stronghold of the Congress since independence. They supported Sriramulu to garner the votes of the scheduled castes and tribes in the region, and won their trust through funding education, health and sanitation projects, supporting mass marriages and giving generous donations to temples. With their largesse and opulent lifestyle, the Reddy brothers became the uncrowned kings of Ballari. In the 2008 assembly elections, they ensured victory for the BJP in seven of eight seats in the district. Janardhana and Karunakara became ministers in the Yeddyurappa cabinet. However, the Lokayukta report on illegal mining by Justice Santosh Hegde in July 2011 triggered a political tsunami as it implicated Yeddyurappa, the Reddy brothers, Sriramulu and Anil Lad, along with 787 government officials, for illegal mining. The loss to the exchequer was pegged at Rs 16,085 crore. In Ballari, the man who reportedly helped the Lokayukta and the CBI with information on illegal mining, is also contesting the elections. 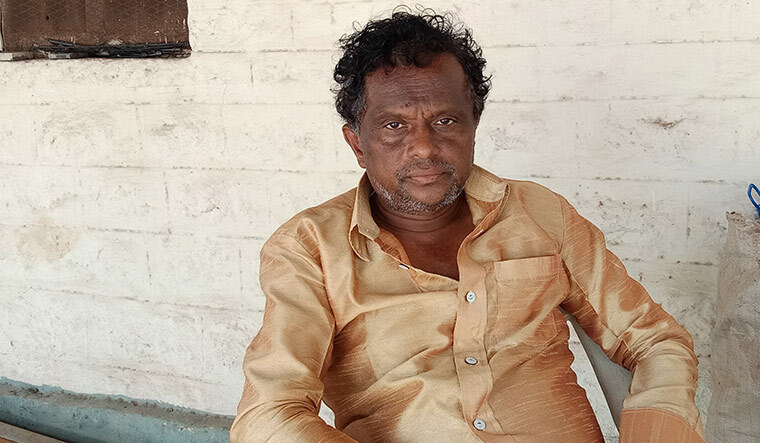 Tapal Ganesh, a mine owner, who has survived several attempts on his life, is taking on Somashekhara on a JD(U) ticket. While Amit Shah has repeatedly said the BJP had no connection with Janardhana Reddy, Yeddyurappa has had no problem sharing the dais with the tainted baron. After being asked by Shah to maintain a low profile, Reddy is now focusing on door-to-door campaigns in Molakalmuru. In Ballari, the man who reportedly helped the Lokayukta and the CBI with information on illegal mining, is also contesting the elections. Tapal Ganesh, a mine owner, who has survived several attempts on his life, is taking on Somashekhara Reddy on a JD(U) ticket.